The project was recorded with renown Grammy-nominated Engineer and Producer Cookie Marenco. The album is a live studio recording that uses the highest grade equipment available to capture the natural dynamics, spontaneity and passion of their performances. Make it Rain is a project the two had been intending to make for a while. Set in more of a Duo format It includes material that has become long time fan favorites through out their years of touring the country but most of the songs have never been available on recording up till now. 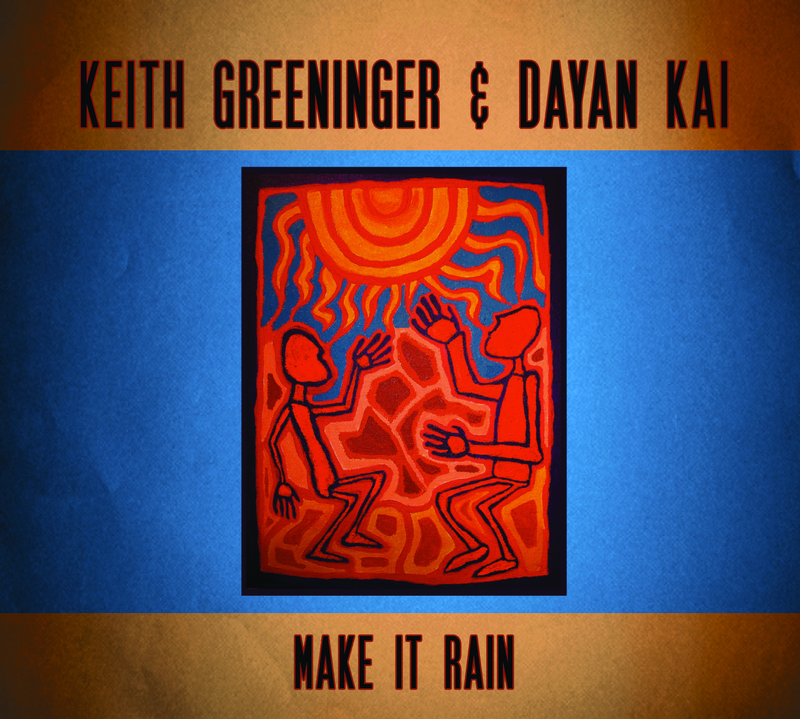 Though Greeninger and Kai both contribute original material to the new CD they also perform powerful renditions of songs by some of their favorite writers. For this latest project Keith and Dayan set out to use a more honest, old school approach to the recording process. Most of this CD was recorded in one eight hour session with no head phones, and no overdubs. Working with acclaimed natural sound pioneer Cookie Marenco was the perfect fit for this project. Known for her work as a producer in the early days of Windham Hill as well as for her pristine Jazz recordings Marenco's use of 2" analog tape, unique microphone placement and minimal studio effects and compression help to create the ESE (Extended Sound Environment) effect giving this recording the feeling of being in the room with the artist.